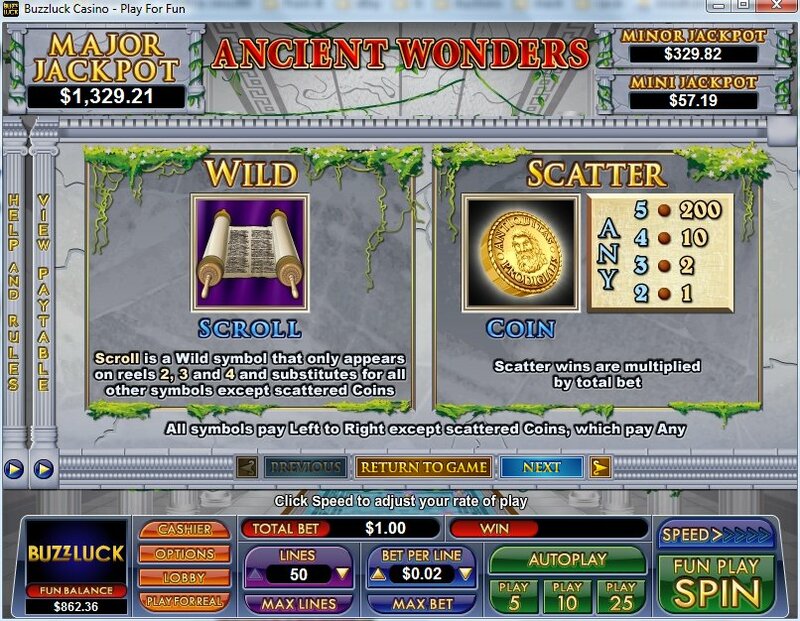 Overview: Ancient Wonders is NuWork's 50-line slot. 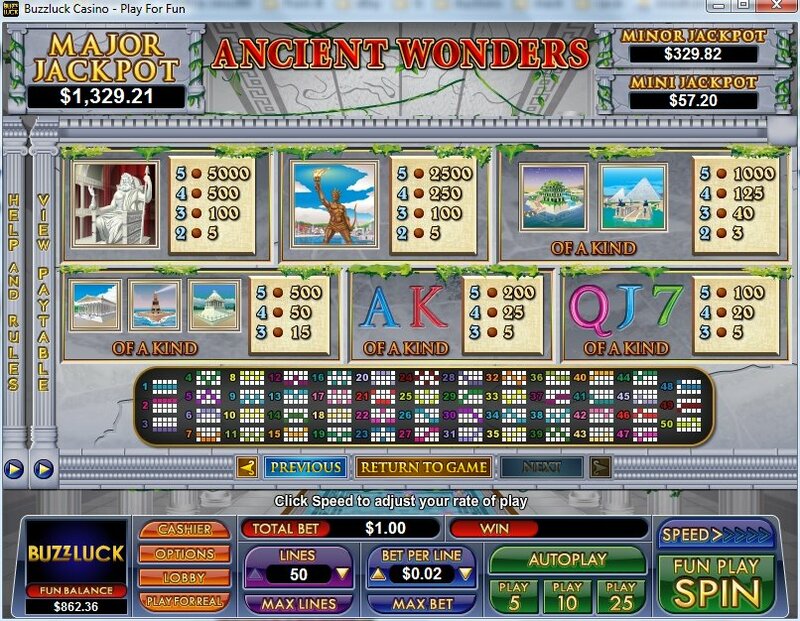 Admire the majesty of Zeus or the eerie splendor of the Hanging Gardens as they spin their way to one of two huge features. 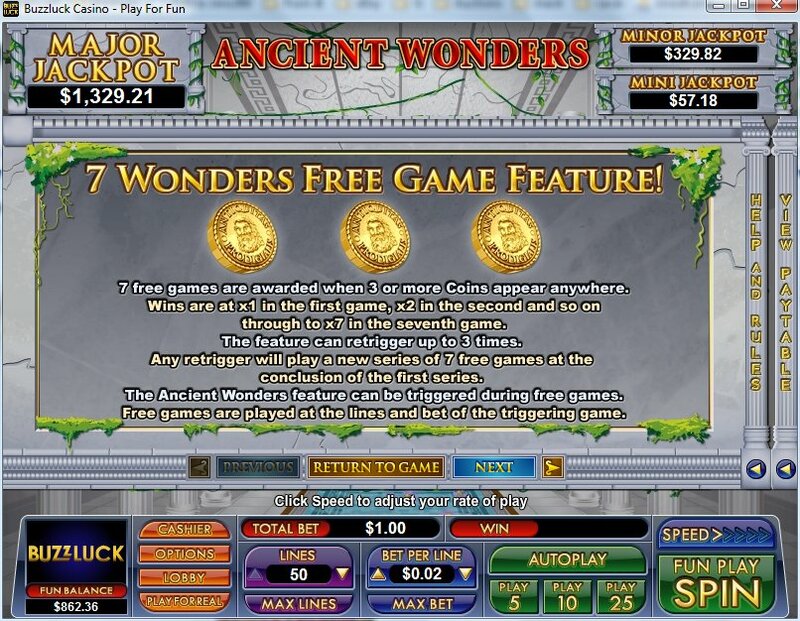 The Free Games Feature will award 7 free games with wins at x1 in the first game, x2 in the second and so on through to x7 in the seventh game. 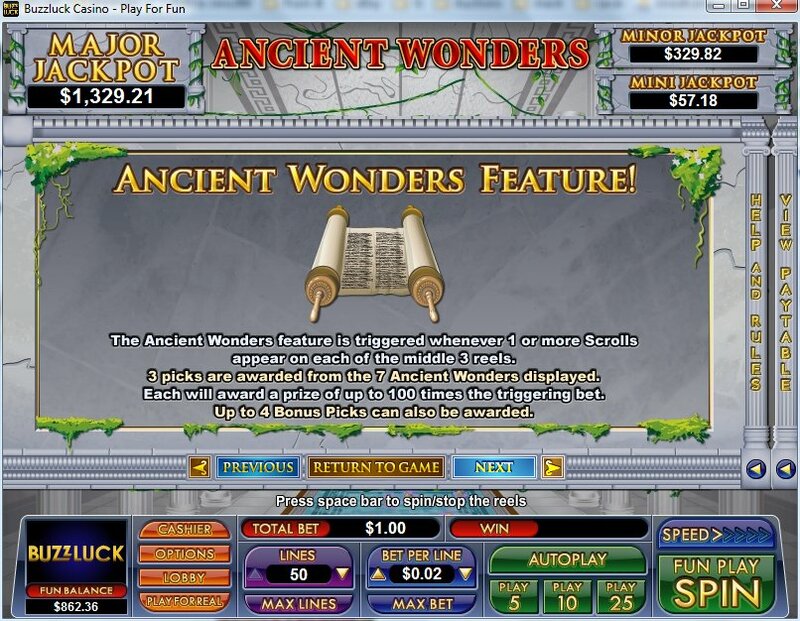 The Ancient Wonders Feature will allow you to pick from the 7 Wonders displayed to be awarded a prize of up to 1000 times the triggering bet for each pick. 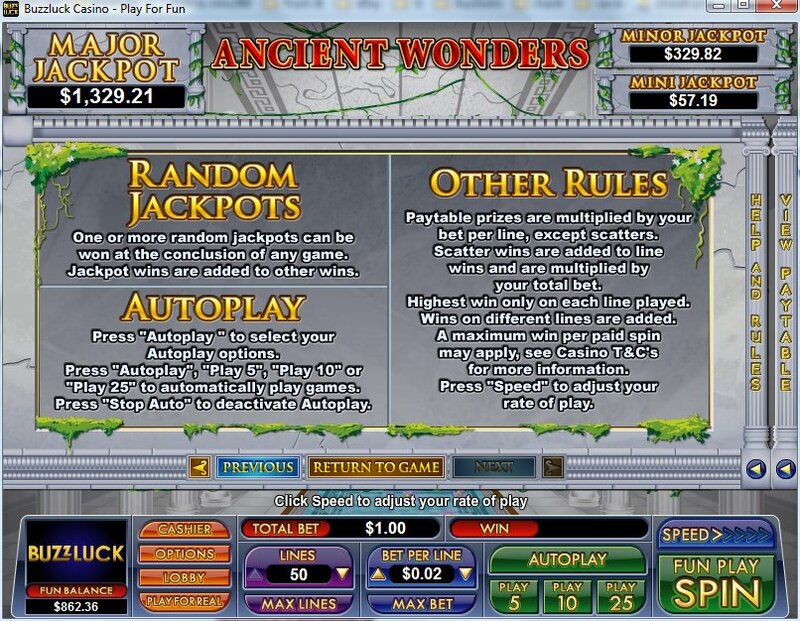 Ancient Wonders also has multiple random jackpots which can be won at the conclusion of any paid spin. 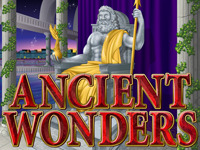 Come and experience the marvels for yourself with Ancient Wonders! 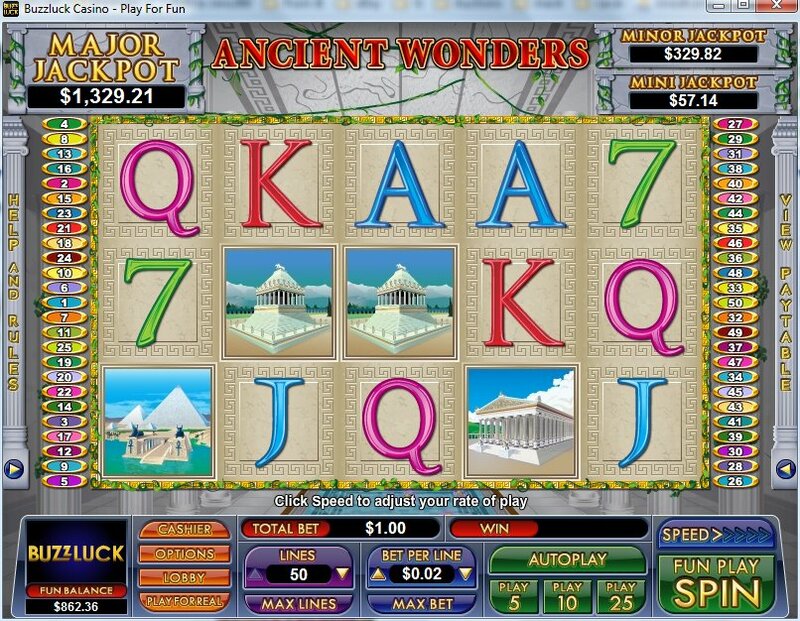 Similar Slots: If you like Ancient Wonders, you might like these other slot machines from NuWorks: Big Rig, Head Hunter, Moby Duck, Samba!, The Duck Ages, Winning Shot.